Diane Webster’s challenge as a poet is to remain open to writing opportunities in everyday life, to those rare epiphany moments when they arrive, and then to write with a different perspective. Her work has appeared in Illya’s Honey, Old Red Kimono, Philadelphia Poets, and other literary magazines. 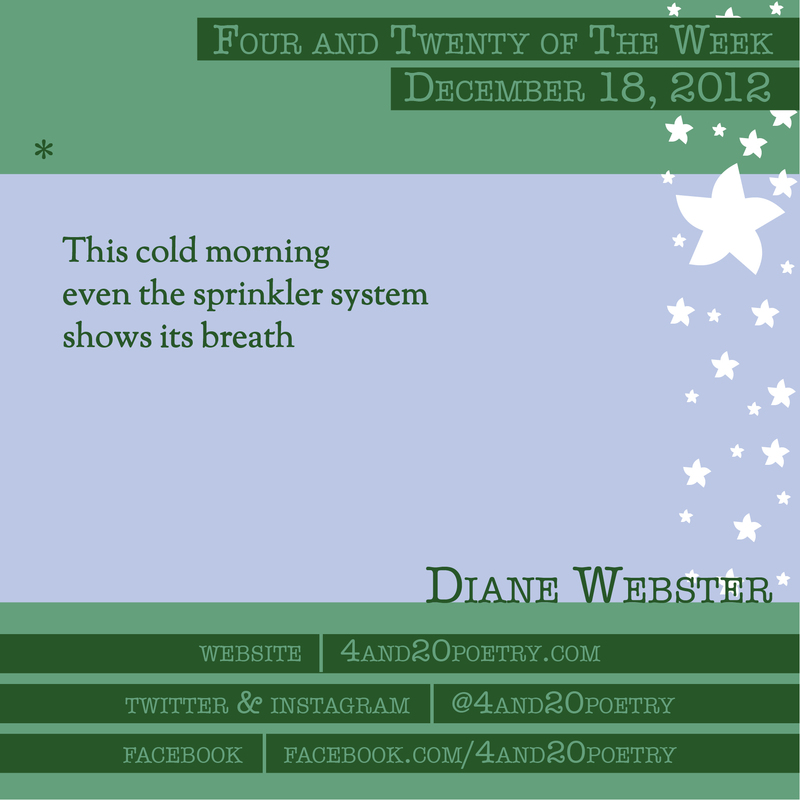 This entry was posted on Tuesday, December 18th, 2012 at 4:20 am and is filed under Four and Twenty of the Week, Micro Poetry, Poetry. You can follow any responses to this entry through the RSS 2.0 feed. Both comments and pings are currently closed.